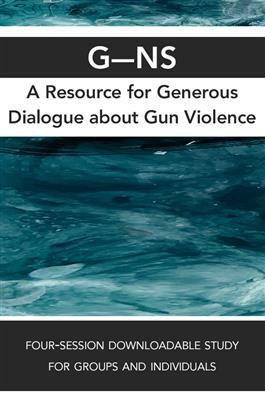 This four-session study helps youth and young adults, particularly college students, explore the many facets of the problem of gun violence in our country. Sessions are built around the movements of worship—Gather, Encounter, Respond, and Send. In each session, the topic of gun violence is addressed through the lens of one of these movements of worship. In each session, participants will have time for small group discussion, journaling, large group discussion, learning, and a brief service of worship. Each session includes extensive background for the leader to prepare them for these difficult discussions. Ideal for retreat settings or to be held over the course of four weeks.